Your best smile--is it a long forgotten dream? Have you lost one or more teeth? Do you hate the gaps that you see? Dental implants from Beaufort River Dental in Lady's Island, SC, could solve those problems for good. Dr. David Babb offers these tooth replacements as the optimal long-term investment in your smile. Learn more about them, so you can decide if they are right for you. Dental implants are predictable, stable, and long-lasting. In fact, patients refer to them as life-changing because they look, act, and feel like natural teeth. How do dental implants from your Lady's Island, SC, dentist work? Basically, a dental implant is a titanium screw surgically placed into the jaw for optimal strength, oral function, and bone preservation. 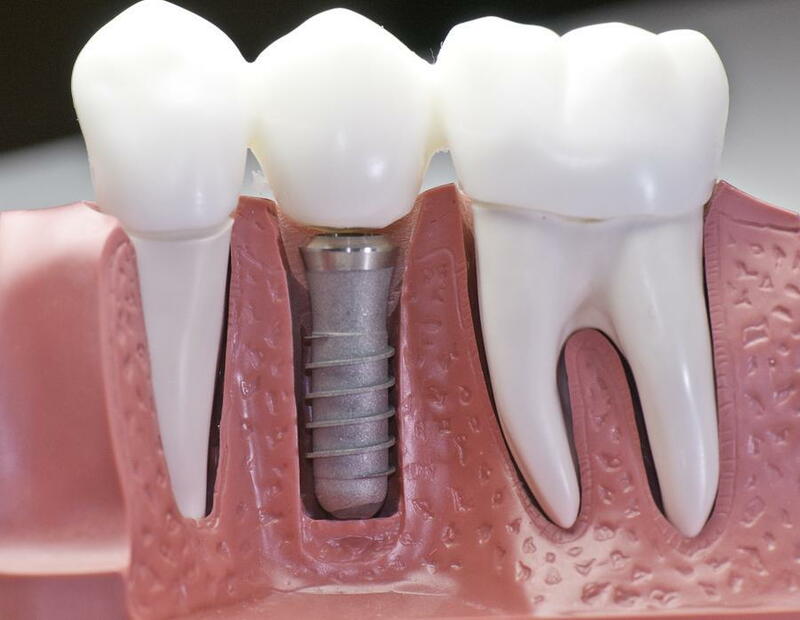 Just as a natural root anchors a tooth and exercises surrounding bone and gum tissue, so does a dental implant through something called osseointegration. Science shows that human bone adheres to titanium metal. Amazing! In addition, if you have extensive tooth loss, Dr. Babb may recommend a bridge or denture secures by two, four or more implants. The most important factors are time and patience. Osseointegration takes weeks to months to complete. Also, a patient must be willing to care for their implants once they are in place. Brush all your teeth, including implants, twice a day with a soft-bristled tooth brush. Floss around your implants daily to remove sticky plaque from their margins, keeping gums and bone healthy. Eat a healthy diet, low in sugar and high in fiber and protein. Plenty of water hydrates surrounding gum tissue, too. Wear a bite guard if you grind your teeth because implants degrade under extreme pressures. Stop all tobacco usage to avoid a destructive infection called peri-implantitis. See your team at Beaufort River Dental for a check-up and cleaning every six months. Dental implants are today's premier tooth replacement option, giving your smile a new lease on life. The American Academy of Implant Dentistry encourages people interested in implants to consult experts such as Dr. Babb for an evaluation on a completely renewed smile. For your consultation, please call Beaufort River Dental in Lady's Island, SC, at (843) 525-1113. Why not start today to invest in great oral health?